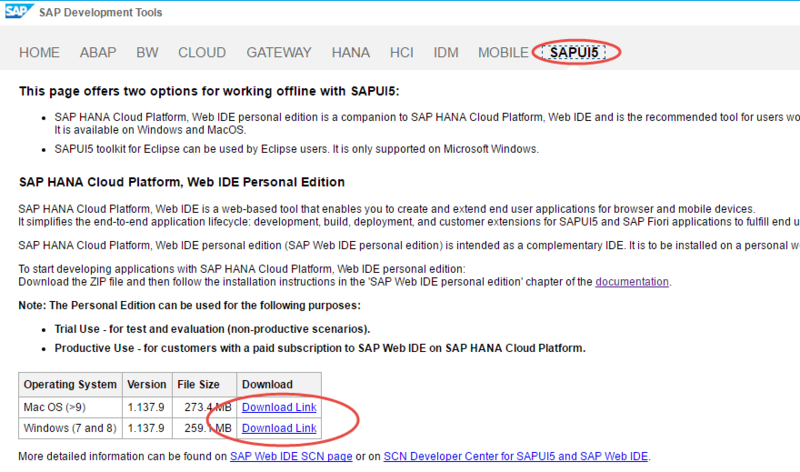 Hello every one, in this tutorial you will learn how to install SAP Web IDE Personal Edition on to local desktop/laptops. SAP Web IDE is web-based development tool used to create and extend SAPUI5 and SAP Fiori user applications for browser and mobile devices. It simplifies the application development by providing different wizard templates, plugins etc. 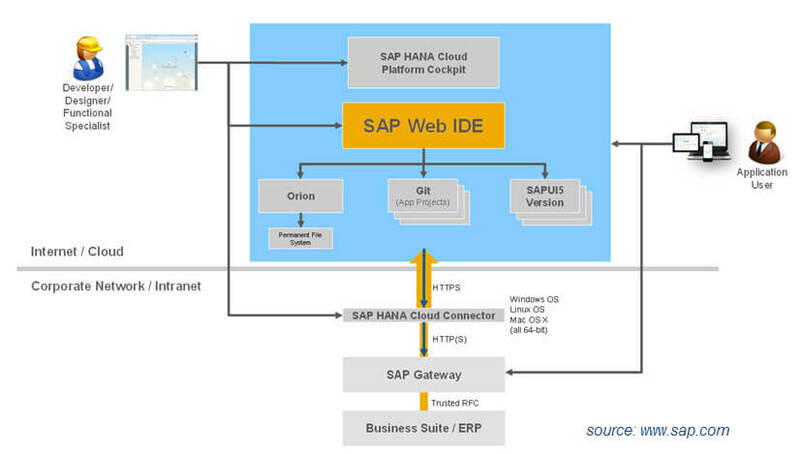 SAP Web IDE is available as as trail/productive in HANA Cloud Platform(HCP) and local as SAP Web IDE Personal Edition. 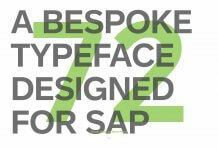 It is personal edition released by SAP which can be installed on personal workstations for local development. Its main intention is to provide developers a local IDE for testing and non-productive purpose. 1. Go to SAP Development Tools and select “SAPUI5” tab. Under this tab you can find the download link. By clicking on the download link an installation zip file will be downloaded. 2. Create a new folder in C:/ drive and name it as “SAPWebIDE”. Unzip the installation file into this folder. After unzip, you should see a eclipse folder and inside this you will find all necessary file to run the SAP Web IDE. Note: If you face any high compression ratio error or any other errors while unzipping the folder, please use 7-zip software to unzip the file. 3. Now double click on the orion.exe file to run the Orion Server. 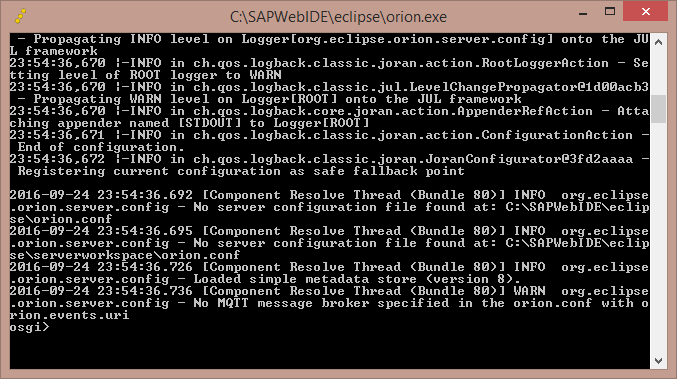 If you have followed the document, you can find the orion.exe file here C:\SAPWebIDE\eclipse. You will see the below screen, if server started successfully. 4. Launch SAP Web IDE personal edition via the URL http://localhost:8080/webide/index.html. 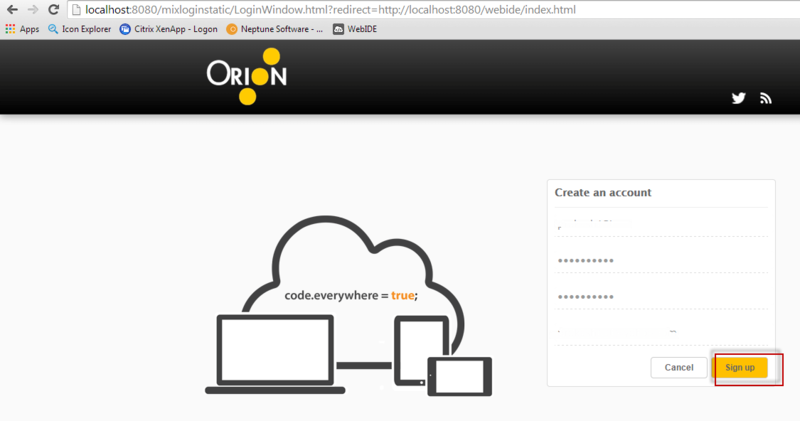 You will see the below screen, before starting the WebIDE you need an Orion account, sign up for one in the same screen. 6. After successful sign-up SAP Web IDE personal edition will be launched.